On August 20, the Racecourse in Nuwara Eliya which is steeped in history will be scripting an entirely new chapter in it’s archives. They will be hosting the first Auction Sale of thoroughbred racehorses and it promises to be something really special. The horses for Sale are all seasoned campaigners so you have a huge advantage in that you will have the opportunity to buy a ‘ready made racehorse’ or one that is ready to race and earn his keep. 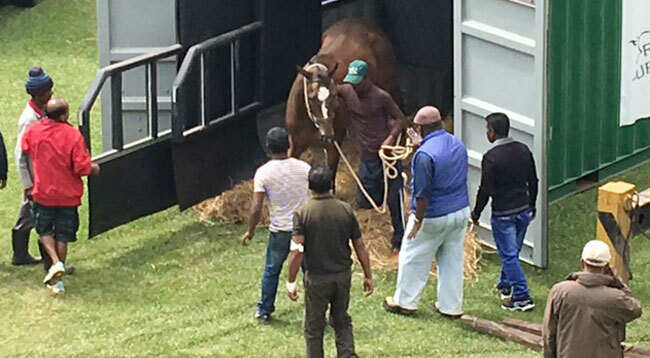 It’s the beginning of a new era in the history of the Sri Lankan turf and the Royal Turf Club is set to go even further after this innovative and imaginative step to encourage and popularize a truly magnificient Sport. If one had a choice to be reborn, I would probably like to return as a thoroughbred racehorse. You are born into the lap of luxury. The Stud Farm which is your first home for over two years has vast expanses of open fields and paddocks to romp and play about in. You have a number of buddies (foals of the same age) for company and that means fun, frolic and games. You have a home and roof over your head and you get fed every day. When you get a little older you leave home and go out into the world of Horse Racing. You are brought up to be an athlete from the time you are born and once you get to the Race Track, you are groomed to become the next Usain Bolt or Emil Zatopeck. In locations where it’s hot and oppressive you live in air conditioned comfort. You train every morning and then lounge around in your stable where you have great company and you are fed three times a day. There’s a Doctor on call in case you fall ill and he pays you house visits and then in the evening the people whom you race for, come across to see how you’re doing and feed you carrots, lumps of sugar and other treats. It’s a good life and the best part of it is that you love the work because horses were born to run and that’s what racing is all about.